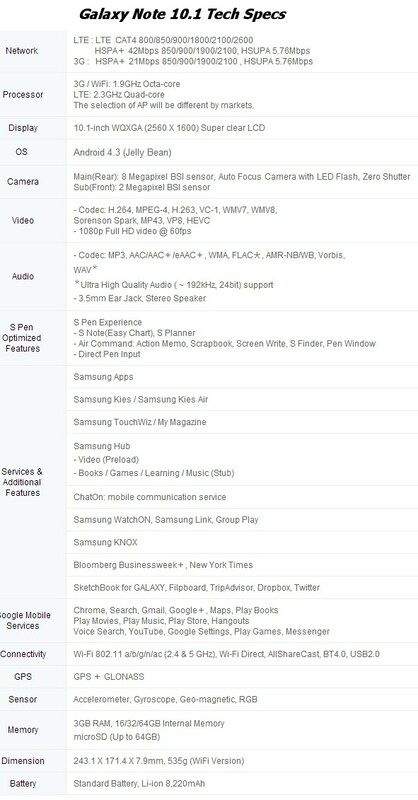 Samsung launches Galaxy Note 10.1 (2014 Edition) Android tablet powered by 1.9 GHz Octa Core processor with 3GB RAM and runs on Android 4.3 Jelly Bean operating system. 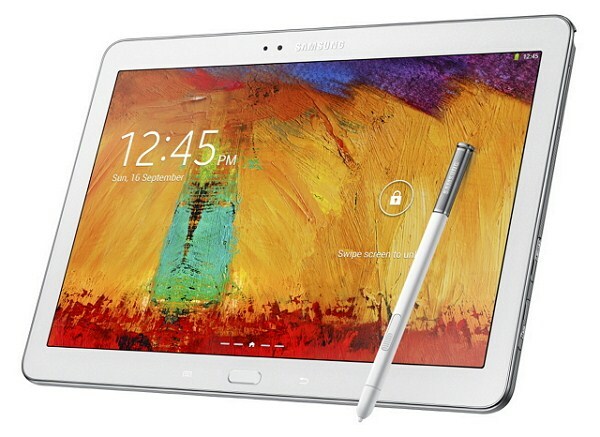 The Galaxy Note 10.1 comes with various storage option such as 16/32/64GB and expandable up to 64 GB with micorSD card. The tablet features 8MP camera with Auto Focus and LED flash and also it has 2MP front facing camera for video chat. For connectivity the phone supports Bluetooth 4.0, Wi-Fi 802.11 a/b/g/n/ac, USB 2.0 and more. “The new GALAXY Note 10.1 is the most progressive 10-inch tablet, delivering the best viewing and multitasking experiences. It is the most recent demonstration of Samsung Mobile's focus on constant product innovation to stay aligned with shifting consumer interests,” said JK Shin, CEO and President of IT & Mobile Division at Samsung Electronics. Comes with two color options, Jet Black and Classic White, the GALAXY Note 10.1 (2014 Edition) will be offered globally and will be available starting from Q3, 2013.